I had this dress made in Atlanta, by my super-talented and high-blood-pressure-inducing tailor there. 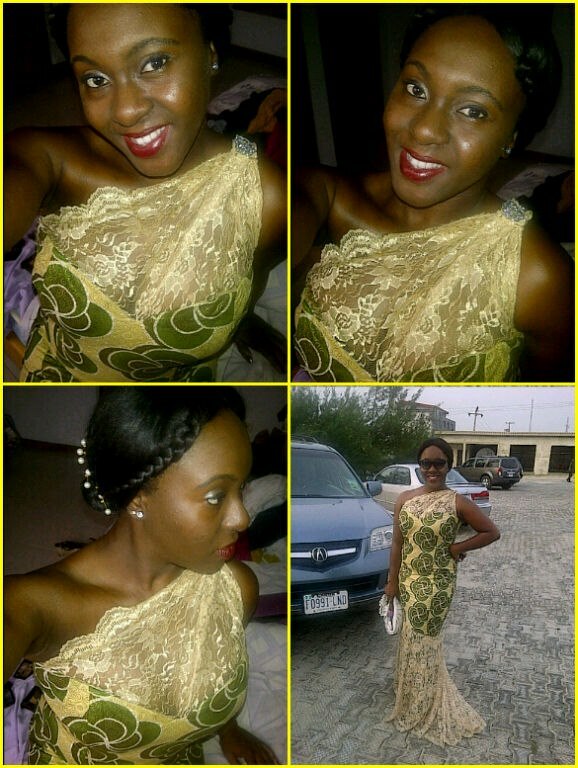 I wore it once in 2010 at a wedding in California, and again just 2 months ago, at a wedding here in Lagos. One of my go-to hair styles when I leave my natural hair out, is a Grecian flat twist. And so I decided to do something similar to my weave. The dress was inspired by America Ferrera's Monique Lhuillier dress at the 2008 SAG awards.